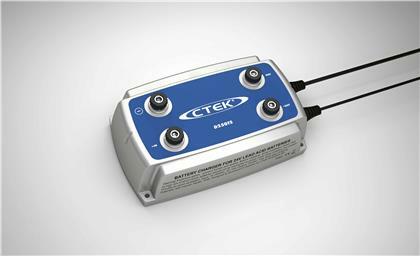 The CTEK Charger, D250TS continues the tradition of offering chargers with a focus on simplicity, safety and versatility. 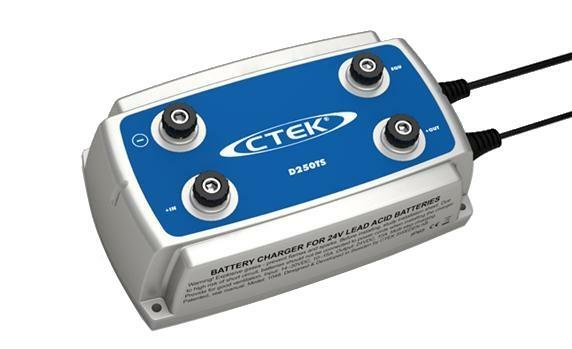 The CTEK D250TS is a fully automatic battery charger, battery separator, 12V converter and an equaliser for 24V battery banks combined. Perfect for heavy vehicles, RV’s, boats and other vehicles. The D250TS is a fully automatic 4-step charger that supplies 10A to 24V batteries of 20–200Ah. The charger is IP65 classified (water jet and dust protected and approved for outdoor use) and protects vehicle electronics. It is suitable for all types of lead-acid batteries (Wet, MF, Ca/Ca, Gel, AGM). It is supplied with a 2 year warranty.